So I figured the thing to do was to compile a bunch of Halloween themed videos, music and such that I enjoy every year, and share them with you on my YouTubeChannel in a dedicated playlist called Halloween Hootenanny. 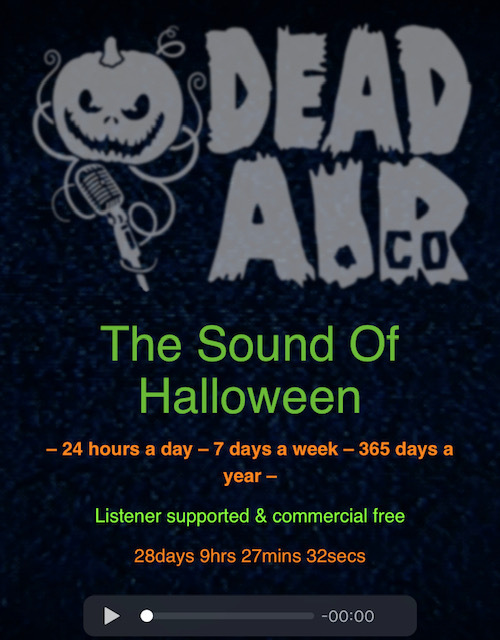 The playlist features SNL skits, some of my favorite Halloween music, TV shows from my childhood, film clips and anything else I could think of to give you an evening's worth of entertainment celebrating our favorite holiday. 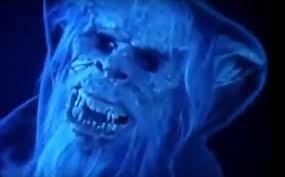 So grab yer treats, cozy up and let 'er rip. Hopefully the above window will play the list in its entirety, but if you have trouble, you can always go to my YouTubeChannel and check out all the things I have curated there for you. Incidentally, I am constantly adding titles and playlists to the channel, so hit that subscribe button if you wanna stay updated. I hope you enjoy, and of course, HAPPY HALLOWEEN! Believe it or not, I had never seen this all the way through before now, and if you don't get a Halloween vibe from it, well I can't help you. I love that this is a Peter Jackson film. I love that the role was written for Michael J. Fox with no one else in mind. And I think it's a bittersweet farewell to his leading man film roles. This film is just fun, and what a delightful surprise to see Dee Wallace, whose character is a fantastic change from her previous "cool Mom" roles. 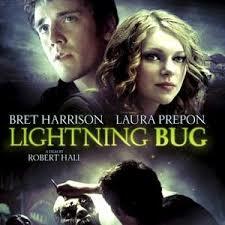 Lots of other cameos and friendly faces here, set in a deliciously Tim Burton-esque landscape. Don't be like me and wait 20 years to enjoy it! 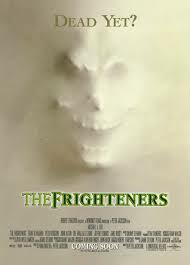 FUN FACT: Danny Elfman loved Peter Jackson's Heavenly Creatures so much, he agreed to do the soundtrack for The Frighteners without previously viewing any footage, or even knowing what it was about. And of course, it's excellent. 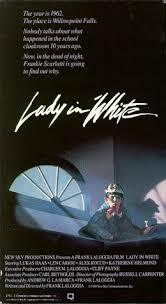 Ok this movie appealed to me for so many reasons. First off, it's based on a true story about a kid who makes monster masks and creatures, which my hubby does, so already I was intrigued. I enjoyed this film so much, I watched it twice in as many days. Featuring a breakout performance by Ashley Laurence of Hellraiser fame, she is heartbreaking real and raw as the broken down mother. And while Halloween does feature prominently in the film, we are reminded that monsters are real and they most often come in human form. I found this gem while mindlessly scrolling through one of the streaming services, and it was the movie description that made me hit the play button. Having never heard of it before, it would have been a shame to have missed out on this one completely. And it makes me wonder how many other gems are out there waiting to be unearthed. My love for this film runs deep deep deep. There are precious few movies that have this much heart, and execute it without overdoing it and turning it into some twee mushfest. Likely, you have seen it and know what I'm talking about, but just on the off-chance it has escaped your viewing list AMEND THAT IMMEDIATELY. Do not miss this delightful ghost story, oh and it's family friendly too! 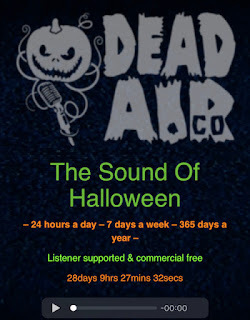 Ok kids, time to round up yer treat buckets and put the finishing touches on those costumes. I hope you've enjoyed this Halloween edition of Triple Movie Mini-Reviews, and will join me next week for a final (yeah, right) Halloween-entric post...whatever will it be about? Stay tuned! Hence came the idea to feature a favorite show as nostalgic as big hair of the 80's, Tales From The Darkside - The Halloween Episodes. To my knowledge, there are three Halloween-centric episodes, and each is excellent and completely different from one another. Let's dig in, shall we? Frankly, it never really does get better than this. Beginning the series with an episode as good as this one, is extremely difficult to live up to. George really knocked it outta the park here, and you simply couldn't ask for a more Halloween atmosphere. Begin with this one, or save it til the end (yeah, right), it truly is the best of the bunch. This episode is special because Tom Savini not only had his hands in creating the creatures for it, but he directed this one as well. Creepy undertones abound here, and you know something is coming, but you're not quite sure until the first creature appears. 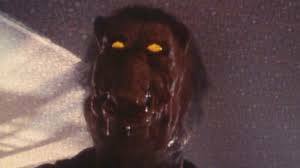 This would not be the last episode Tom Savini directed, be sure to check out Inside The Closet (Season 1 - Episode 8) as well, his hands are definitely in the candy bowl there too. 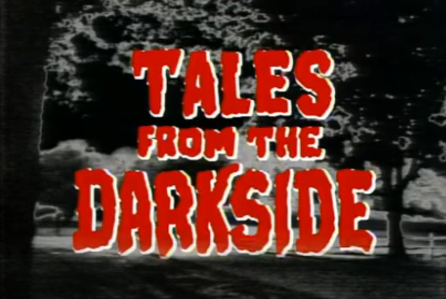 Now I don't know that anyone would consider tales from the Darkside really scary, but this episode is the only one of the entire four seasons to actually creep me out--for real. Maybe it's because it's one of the few that has an ending that is...well not quite as favorable as one would hope. 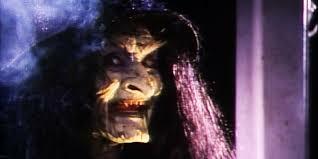 But I LOVE it because for that reason, and because it is a genuinely scary premise, and full of Halloween trickery. Not to be missed! HONORABLE MENTION: Another favorite episode of mine is In The Cards (from Season 1 - Episode 13) it's not Halloween related, but deals (ha) with Tarot Cards. Turn down the lights, snuggle up on the couch with your favorite treats, and have yourself a Tales From The Darkside Halloween fest! I'll be back next week with more Halloween goodies for you. Stay tuned!